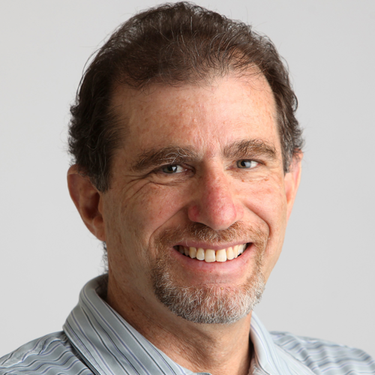 After a week at Mariners spring training in the Valley of the (non-existent) Sun , Larry Stone has eight takeaways on a ball club that many won't recognize come Opening Day. From the hungry youngsters to the veterans on the comeback trail, the 2019 Mariners promise to at least be an interesting watch. There’s no such thing as a bad spring-training experience – though the miserable, chilly weather during my entire stay in Arizona this year seemed to be working hard to change that opinion. Some years are more interesting than others, however. And I would put the 2019 Mariners camp in that category. That’s one thing about the sort of rampant change that the Mariners have undergone – the counterpoint to the jarring disruption of so many familiar names heading out the door is the introduction of a new cast with unique stories to tell. This entire year will be about the unveiling of the Mariners’ next generation, and it figures to be a slow rollout. Such key prospects as outfielders Jarred Kelenic and Julio Rodriguez and pitcher Logan Gilbert will do their work in the minors. Others, like Justus Sheffield, Justin Dunn, J.P. Crawford, Kyle Lewis and Evan White, might arrive at various junctures of the season, or not at all. It was instructive to watch all those players and many others, old and new (in this camp, the old come with just as many questions and intrigue, if not more) during my week-plus in the Valley of the (nonexistent) Sun. This might mean little in the big picture, but the vibe in camp is good. 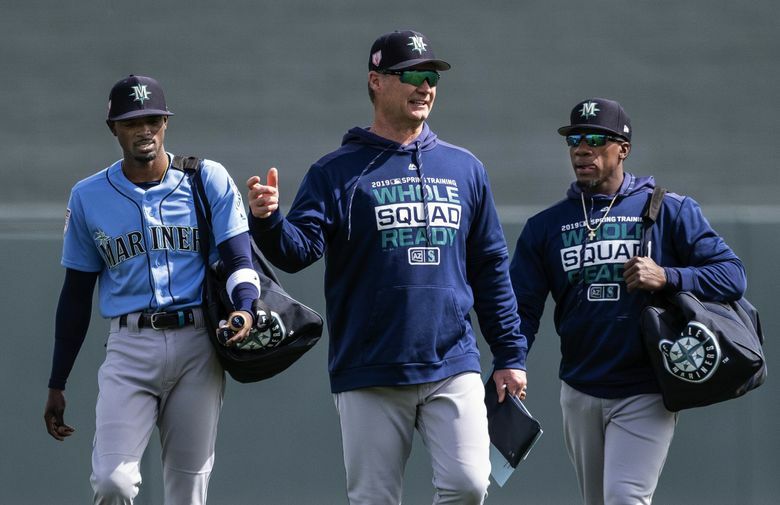 Returning players like Mitch Haniger, Marco Gonzales, Dee Gordon and Kyle Seager seem to be buying into the master plan, while the newly acquired young corps are as hungry to prove themselves as you’d expect. One small anecdote: During a recent game, I was in the clubhouse waiting to talk to a player who had already been pulled (you can do that in Arizona). Several other veterans also out of the game were glued to the television broadcast, animatedly cheering on Dan Altavilla as he pitched in relief. You don’t always see that. That’s not to say there aren’t potential seeds of discontent, of course. Edwin Encarnacion has the look of someone wondering what the heck he’s doing in a Mariners uniform. And it will be really, really interesting to see what happens with Felix Hernandez, who didn’t exactly report in tip-top readiness. My sense is that the Mariners will not allow Hernandez to hijack their transition to a younger rotation by leaving him in the rotation if it’s not warranted. Now, Hernandez might undergo a renaissance that makes this a moot point. But if his struggles continue, it’s easy to imagine him being shunted to the bullpen or even, in the worst case, eventually being released. At this point, the $27 million he’s owed is a sunk cost. It’s hard not to see some of the blue-chip prospects in person and not envision what this team could be like if enough of them click. Yes, we went through this with the likes of Jesus Montero, Justin Smoak, Dustin Ackley, Jeff Clement, et al. Mariners fans are properly conditioned to cynicism when it comes to sizing up so-called can’t-miss talent, because they so often do. But this crop at least passes the eye test to a far greater degree. I’ll never forget the first time I saw Montero in spring training, and my knee-jerk reaction was, “This is the guy that everyone’s talking about?” The athleticism and natural talent were just not evident. But when you look at the likes of Kelenic, Rodriguez and Lewis – a possible outfield of the future – it’s a trio just oozing size, athleticism and tools. Now the key will be carrying that forward and turning those tools into performance – no easy task. I remember writing something similar about Carlos Triunfel a while back. Similarly, Sheffield seems to have legitimate top-of-the-rotation potential and the easy confidence of someone who knows it. Dunn looks like he’s close to being major-league ready. Again, we’ll see where the eye-test and early Cactus League-dominance takes us, but there are positive signs that the likes of Robinson Cano, Edwin Diaz and James Paxton weren’t just given away this winter. Expanding on that, the absolute best news of camp for the Mariners has been the revitalization of Kyle Lewis. It can’t be stressed enough what a blow it was to the organization when Lewis, who appeared on the fast track to stardom, blew out his right knee at Everett just 30 games into his pro career in 2016. There has been legitimate concern that Lewis might never again be the dynamic player that he was before the injury. But he finally looks to be completely healthy, and you can see again the raw tools that had everyone so excited about Lewis. If he’s truly back to 100 percent, as he claims, Lewis could once again re-emerge quickly as a potential impact player. If you’re looking for a dark-horse breakout candidate, no question it’s Shed Long. This is a guy the Mariners targeted in the offseason, and were thrilled to pick up from the Yankees, via Cincinnati in the three-way Sonny Gray deal. The M’s gave up outfielder Josh Stowers, a second-round pick in 2018. Long has been a revelation in camp, displaying an electric bat and dynamic athletic ability. He’s a converted catcher who has been groomed as a second baseman but has been used at third base and the outfield this spring. Long will start in the minors but it’s not hard to envision that he’ll be up at some point this year and could eventually be a guy like Ben Zobrist or Josh Harrison who plays all over the diamond. The biggest cliché of spring training is the veteran player who returns in “the best shape of his life,” so I won’t use that phrase for Seager. But the first sight of his new, lean physique was truly startling. He looks like a different man, to an extent I haven’t seen since Felix got serious about conditioning in the winter of 2006-07. Now, whether that will make any difference at all in reversing Seager’s poor 2018 season remains to be seen. I’d say a bigger factor will be whether Seager adjusts to the severe shifting that has really seemed to flummox him the past couple of years. Early observation: He’s making a much more concerted effort to beat the shift by going the other way. The Mariners’ rotation wasn’t disrupted as much as the rest of the team. Four of the five members return, with Japanese free-agent Yusei Kikuchi, who has breakout potential, replacing Paxton. At some point, Sheffield and Dunn figure to be integrated, with the possible trade of Mike Leake to create an opening, and Hernandez’s fate as a wild card. It’s easy to be seduced into thinking this team won’t be as bad as my preconceived idea of what sort of carnage loomed in 2018, post-reimagination. That’s what spring training does to a person – it plays with your mind. The rotation, as I said, could be in line with the one that was middle of the pack in starters’ ERA last year. The every-day lineup is at least interesting (with the possibility of changing dramatically as the season progresses). If Seager and Gordon have bounce-back seasons, Mallex Smith gets healthy quickly, and Domingo Santana reverts to his 30-homer form of 2017, there is some real run-scoring potential here. Yes, that’s a lot of ifs (and I didn’t include them all). But Seattle’s downfall could be the bullpen, which lost just about all its mainstays, from Diaz on down. Now, bullpens are fickle beasts. When you think they’re going to be good, they confound you by falling apart, and vice versa. But the Mariners will have to have a lot of players show their best selves, from likely closer Hunter Strickland to newcomer Gerson Bautista (who has a great arm) to Dan Altavilla, Shawn Armstrong, Chasen Bradford, Cory Gearrin, Zac Rosscup and a few wild cards. It’s a lot to ask. It’s easier to imagine a lot of blown leads. On the brighter side, bullpens are the easiest part of a team to fortify. What you see right now almost certainly won’t be what you get in May, June and July. General manager Jerry Dipoto is an inveterate trader, and the Mariners will no doubt continue their transition throughout this year. The fact is that Encarnacion and Jay Bruce don’t fit what the Mariners are doing and could be dealt at any time along with other veterans. The Mariners hope that some of these rookies we’re watching in February and March are knocking on the big-league door in June and July. It will be fun to watch all the drama unfold, and I’m glad I got a spring preview.